I’m so stoked to finally go through these pieces. I don’t know if you’ve noticed, but I have a slight obsession with basics (or what I consider basics). Majority of these styles are from H&M, but a couple are from different places around me. The first outfit is a top from Brandy Melville that I was kind of obsessed with just because it said “KILLIN’ IT” 🙂 but also I found that I loved the crop and the way it fit me when I tried it on. I definitely like how Brandy Melville’s clothes come in one size, so you never have much of a hassle looking for your size. And for us skinny, yet muscular girls, that is really a must. Now, those leggings seriously serve their purpose to a tee; I bought them to go with my more basic outfits and well they’ve done their job quite well. I really liked the fact that they aren’t your typical black and white daisy pattern, but they switched it up by choosing a shade of navy blue that works super well with black pieces. Being the type of girl that doesn’t really care much for leggings I actually found comfort in these and haven’t given them up since.. (aww, I know, it sounds so sentimental). 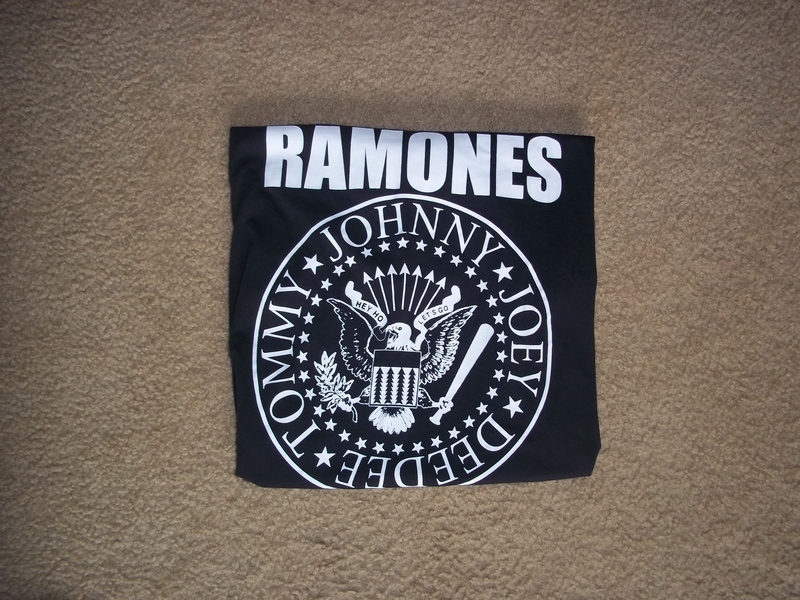 For some reason I find myself constantly buying stuff that has to do with the band, the Ramones, and well, I don’t really know why. I’ve listened to a bit of their music, but not enough to create another obsession. But whatever, I don’t mind rocking their apparel. This tee dress is one of my favorite tops simply because of the way it fits; I like the fact that it isn’t too tight and the neckline is wide so I can dress it up or down, depending on the outfit. I haven’t styled it yet, but I am definitely planning on doing so soon. I buy a lot of black, clearly, but I came to a realization that I can still goth out on bright colored garments too. 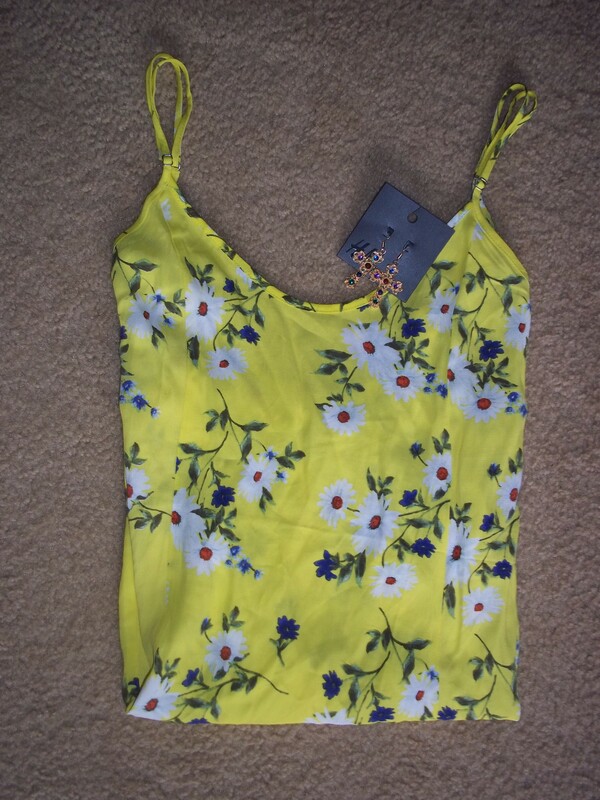 So I recently bought this bright yellow slip dress. I love the floral print, and for some reason this dress goes extremely well with fishnets, creepers, and my expanding choker collection. I’ll have to photograph the outfit I wore with this dress sometime soon and post it because I’m getting excited just thinking about it. There isn’t much to say about this sweater except it was a great buy for WINTER… Which is something that I won’t get to experience for another couple of months. But aside from that, I love it! 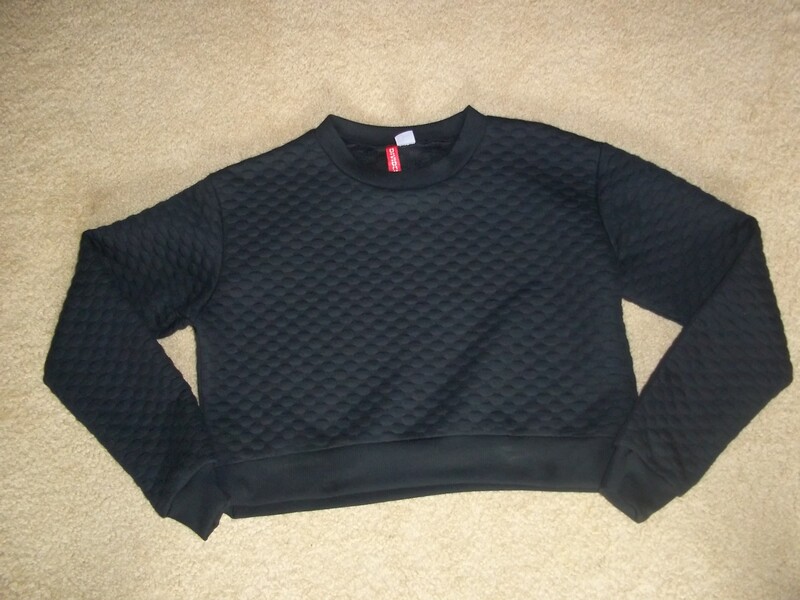 My favorite detail is the quilted texture that expands over the entirely of the sweater. And another thing I LOVE is the fact that it is cropped.. And I mean who doesn’t love a good crop top? I know I do! 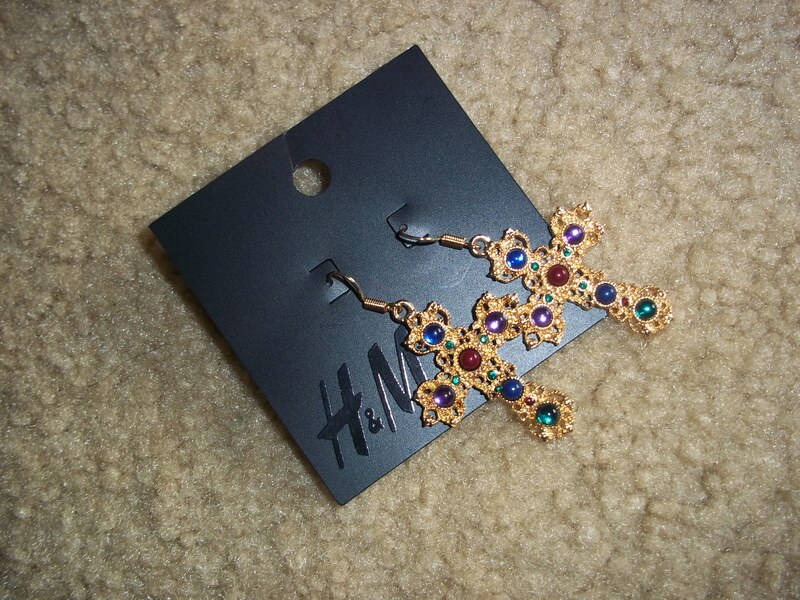 Finally, my new cross earrings that I’ve gone crazy over! I really don’t care for gold accessories, but I really liked these. I like that they had so many different colors, yet they also work with basic colors, such as black (0f course) and white. Alright, so now I am officially done with my fashion haul ranting. I’m going to be posting consistently from now on, especially since I have a bunch of outfits ready to go. Also, I am excited to be posting pictures from both of my vacations (New York and south Florida) and sharing my experiences with you all! Talk to you all soon! Thanks for staying tuned!